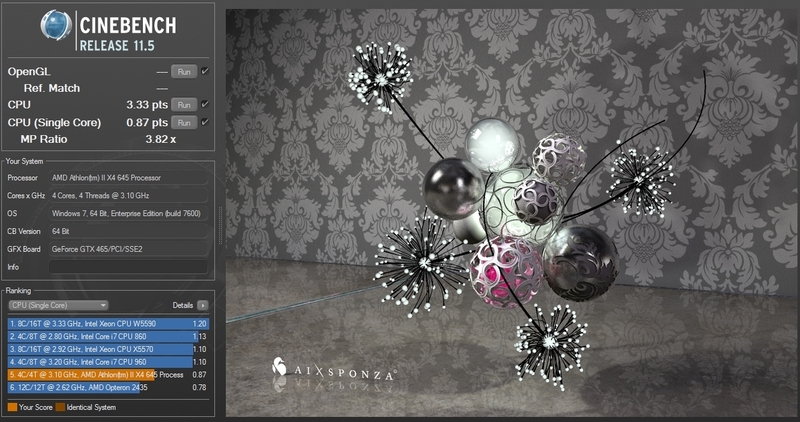 Maxon’s Cinebench software is based off their Cinema4D 3D rendering suite, which is often employed to produce high-quality computer-generated graphics for movies and TV. Cinema4D, and by extension Cinebench, can scale to utilize up to 64 CPU cores. This offers a clear look at the benefits of parallel processing, and how a good multi-core CPU can speed your workflow. Their scoring is as arbitrary as any, but simply watching the test render will give you a clear idea of the speed you can expect from the full product. Here the multicore test showed a 3.82x speed multiplier over the single-thread render, which is very close to the theoretical ideal. 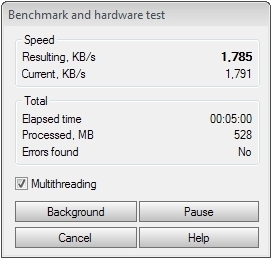 Perfect 1:1 speedup is not possible on multicore systems, due to inter-core communication overhead, but the results show that the X4 645 isn’t wasting a lot of time talking to itself while under load. WinRAR’s inbuilt benchmark gives us a quick look at how well your system will handle a potentially time-consuming task: compressing files for archival or transmission. 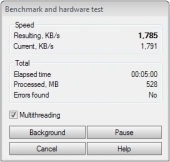 The X4 645 manages an impressive 1785KB/sec, meaning that compressing the contents of a single layer DVD, 4.7GB, would take just under 46 minutes. 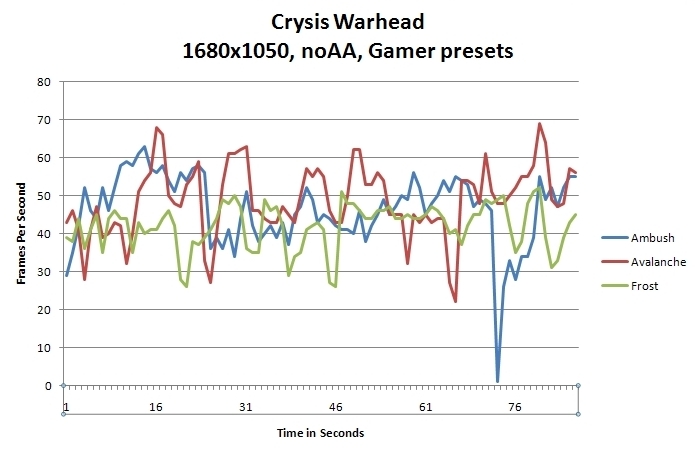 While Crysis Warhead is no longer the graphics card punisher it once was, it still gives both GPU and CPU plenty to do. For this test, we ran through timedemos of each of the first three levels, looping each one twice to iron out any inconsistencies. Aside from an odd dip near the end of Ambush, which was caused by a hitch in loading, the framerates stayed pretty consistently near 40FPS. Given that things are exploding about every five seconds in this game, that’s a pretty decent clip.